2019 Spencer Gallagher #8 ISM Connect / Chevrolet Camaro NASCAR 1/24 diecast, by Action Lionel. The JR Motorsports #8 ISM Connect Chevrolet Camaro was raced by Spencer Gallagher in the NASCAR xfinity Series, NASCAR Racing Experience 300 at Daytona International Speedway on February 16, 2019. 2019 Spencer Gallagher #8 ISM Connect / Chevrolet Camaro NASCAR 1/64 diecast, by Action Lionel. 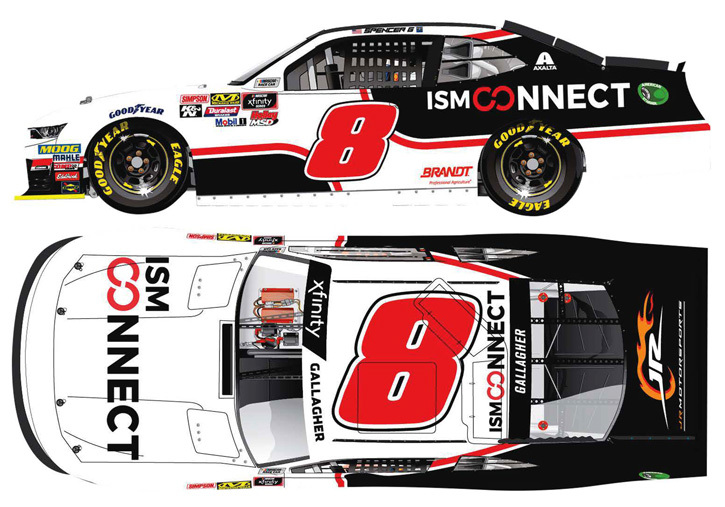 The JR Motorsports #8 ISM Connect Chevrolet Camaro was raced by Spencer Gallagher in the NASCAR xfinity Series, NASCAR Racing Experience 300 at Daytona International Speedway on February 16, 2019.